This summer I have been doing a lot of knitting, for humans and dolls alike. I have the sore wrist to prove it, too. But it doesn’t stop me. A little heat, a little ice, some exercises, and the needles are singing again. Recently, I’ve become obsessed with knitting lacy shawls. The more intricate the design and thinner the yarn, the better I like it. 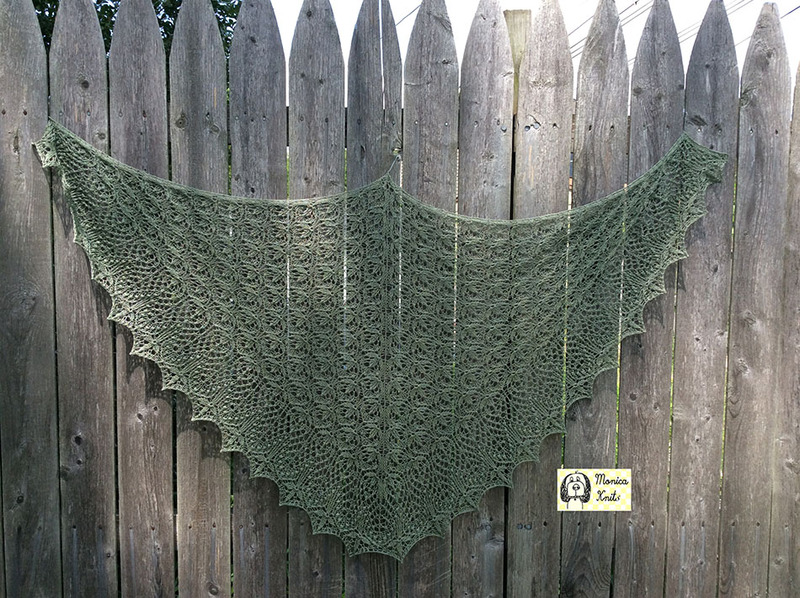 I discovered a great shawl knit pattern designer on Ravelry: Alina Appasov. Her shawls are designed using lace weight yarn. I’m slowly working on buying and knitting them all. But there are lots of wonderful patterns that are FREE on Ravelry too. 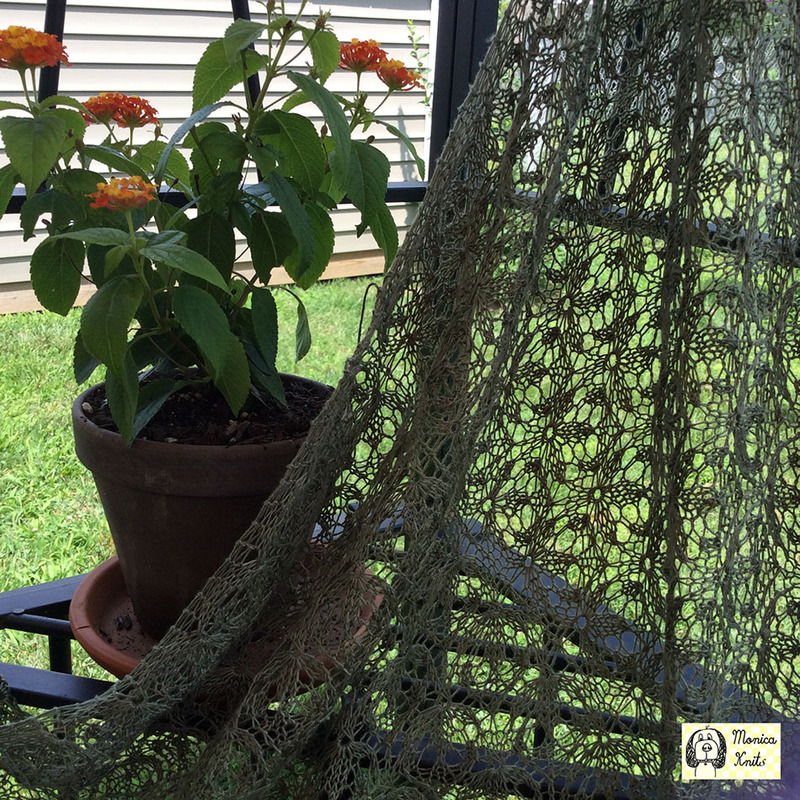 Here is one example of a free shawl pattern on Ravelry, called Echo Flower. I stumbled on some gorgeous silk lace weight yarn, as well. This stuff feels so good when knitting with it, and the shawls drape just beautifully. This shawl was knit in lace weight Mulberry Queen Silk. The detail in this pattern is beautiful. And I grew the flower!